"Genetically modified foods have been shown to cause harm to humans, animals, and the environmental, and despite growing opposition, more and more foods continue to be genetically altered. 9. and 10. Zucchini and Yellow Squash"
Take a close look at the adverse effects of GM crops - Sign the Petition! Warning #2: GMO Declaration: Made from genetically modified wheat. Spread the word! Warn your family and friends. 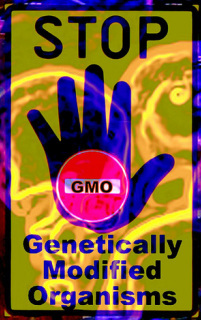 Please sign this petition to compel companies to label GMO-containing foods! but it certainly raises a warning flag. 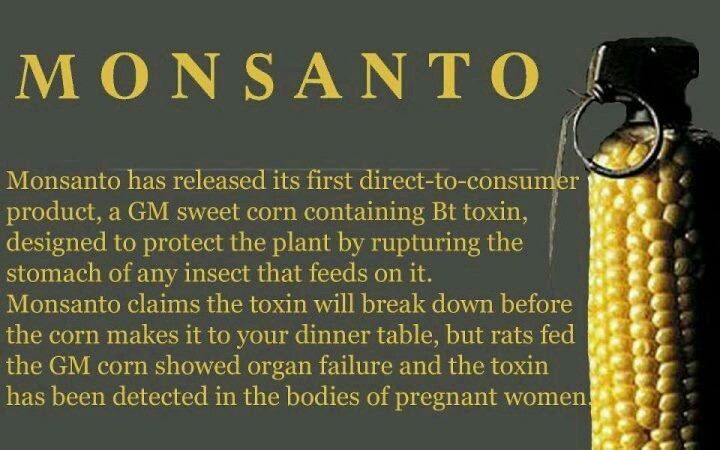 And there's plenty of other evidence showing that the Bt-toxin produced in GM corn and cotton plants is toxic to humans and mammals and triggers immune system responses. An increase in cytokines, which are associated with allergic and inflammatory responses. and in children with food allergies, juvenile arthritis, and connective tissue diseases. showing higher numbers of basophils, lymphocytes, and white blood cells. These can indicate possible allergies, infections, toxins, and various disease states including cancer. There were also signs of liver- and kidney toxicity. and biotech companies have therefore claimed that Bt-toxin has a "history of safe use in agriculture." and genetically altering the plant to produce it internally. Bt crops have the Bt-toxin gene built-in, so the toxin cannot be washed off. You simply cannot avoid consuming it. Furthermore, the plant-produced version of the poison is thousands of times more concentrated than the spray. (AAEM) called on all physicians to prescribe dietswithout genetically modified (GM) foods to all patients? and changes in major organs and the gastrointestinal system. …There is more than a casual association between GM foods and adverse health effects. The Food Pyramid according to Monsanto. With an estimated 40 - 70% of food on grocery store shelves containing GM products, this is the unfortunate reality of our food supply in the United States. Please share to spread awareness. 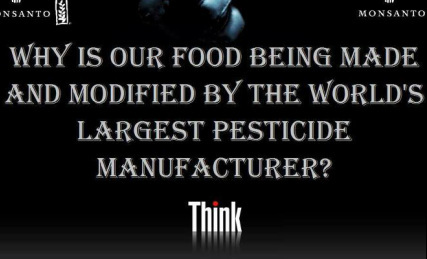 Please keep reading and researching what is in the food you feed your family. Thanks Nutiva. of the quarter of a million farmer suicides over the past 16 years. CSIRO is currently developing GM wheat to commercialise GM wheat as soon as 2015. This would make Australia the first country in the world to commercially grow GM wheat. “Wheat is Australia’s most important staple food and most people eat it every day. CSIRO should stop this GM research until the questions about its safety are answered. Mothers are quite right to be wary of feeding their families GM food.” Said Fran Murrell. To keep our bodies functioning, so toxins won't invade. They're producing it for money, so nutrient's disguised. We need to avoid the GMO, keep a watch upon our health. and find new ways to cook, we are not beaten yet. HOW TO AVOID GM FOODS. Unless foods are labelled organic or non gmo, you need to be careful. 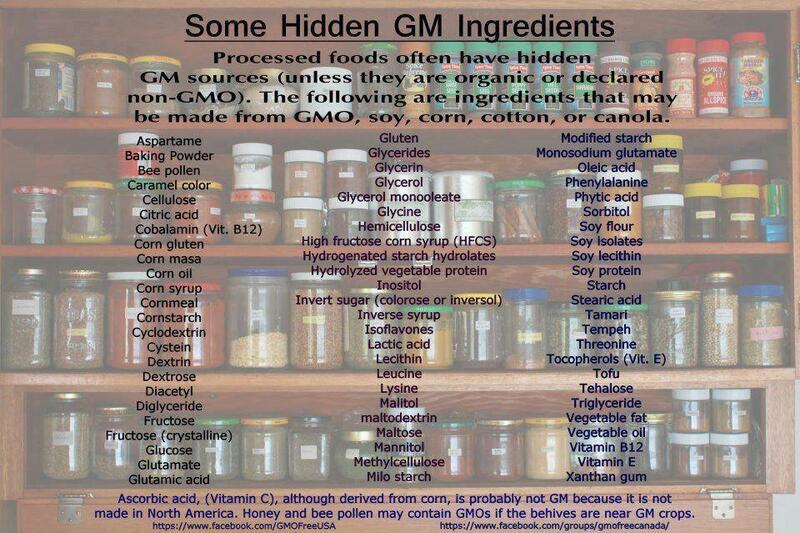 Here is some info on foods that COULD (but not always) contain GM ingredients. Remember, you vote with your wallet every time you buy a Non-GMO Project Verified product. Boycotting could force GM companies to get back to what is ethical and effect the greater good of all. "Don't worry, everyone, this is the beginning not the end. the opposition spent $46 MILLION on a misinformation campaign. And in spite of that, 4.6 million Californians (47%) STILL voted yes. This vote has brought the GMO issue into the national spotlight, and it's not going away. Onwards and upwards!" --Megan Westgate, Non-GMO Project Executive Director. I think people are scared to know what is in their food. Knowing makes it real. By *not knowing* they can pretend it isn't real. I know it sounds crazy, especially since we *know* and it seems so obvious to those of us in the know. Be patient. The more we can spread the message, and keep talking about why we are not buying certain brands with our friends, the more aware they'll be of what is going into their mouths. Be aware there is also the worry some have of legal payouts. Who will sue who, because of health problems. vaccines, toxins all causing health of children/westerners to plummet. ‎"The landscape of children’s health has changed. If you have any doubt whatsoever, ask your grandmother. Did she have friends juggling breast cancer and play dates? What about autism and allergies? ADHD and diabetes? we understand that things have changed. Today, 46 kids are diagnosed with cancer every day. It is the leading cause of death by disease in children under the age of fifteen. Diabetes, obesity, asthma and food allergies are a tsunami of conditions raining down on the health of our children. And autism now impacts 1 in 88 American children. Our grandmothers weren’t navigating these statistics. We know that it hasn’t always been this way. And we see firsthand how hard it can be, as we share the heartache of a friend, witness the grief of a sister or help a neighbor struggling with the cost of care. We say our prayers at night, grateful for the blessings we have received and mindful of how quickly things can change. Our children have earned the title of Generation Rx because of how pervasive these conditions have become. die from cancer every single day. Why have our families become so allergic? Autistic? Diabetic? Cancer stricken? Since when did the landscape of childhood feel like a landmine of disease? Heros and Zeros of GMO labelling (prop 37). Buy products from the heroes and boycott the zero companies! Prop 37 -Voted 47/53. - a very close race -not trounced. False: Prop 37 was written by trial lawyers for trial lawyers. a former midwife, farmer and longtime Chico resident. to let California consumers know if the food they are eating is genetically engineered. within a 10 week period. compared to only 5% in Europe. an amazing feat considering they were only approved for planting in 2005. Sugar beets comprise over 50 percent of U.S. sugar production while the rest comes from sugar cane. changes in major organs and the gastrointestinal tract, allergic reactions, infertility and accelerated aging. GM sugar appears to be a major avenue for the development of disease when the sheer quantities the average American consumes, an astonishing 130 pounds a year, is taken into account." What are you doing to play your part? Try to grow food, and buy organic seeds, and then practice seed saving measures. Will Monsanto patent the food chain! if you want a decent shot at optimal health. The simplest way to avoid genetically engineered (GE) foods is to buy whole, certified organic foods. and must be produced without artificial pesticides or fertilizers. Animals must also be reared without the routine use of antibiotics, growth promoters or other drugs. Additionally, grass-fed beef will not have been fed GE corn feed. You can also avoid genetically modified (GM) ingredients in processed foods, if you know what to look for. and any of their derivatives listed as an ingredient, unless it's labeled USDA 100% Organic. which contains not just one but TWO types of Bt-toxin, PLUS the Roundup Ready gene for weed control! So besides containing the insecticide, their toxic Roundup herbicide will also accumulate in the kernels. created by the Institute for Responsible Technology. and find out about the deceptive PR campaigns being used to promote GM worldwide. GM foods are promoted as a way to feed the world. 10 Reasons Why We Don't Need GM Foods. We vote with our MOUTHS-we get 3 votes a day. Do not consume anything containing GM products. chronic diseases and food allergies have doubled. to look out for the common good of the people and the health of the planet. soy, corn, canola and cottonseed. Add sugar beets, which are now becoming GMO. Most blended oils in North America contain canola and cottonseed oils. Use extra virgin olive oil instead. since most soy is GMO unless it is specifically labeled non-GMO. Most corn is GMO. Items like corn flakes and corn chips are from GM corn. appear on the ingredients labels of many processed foods. Corn in various forms is prevalent in the vast fast food supply that dominates our culture. GMO corn is fed to cattle and other livestock. If you eat beef, pork or fowl, you are probably a second hand consumer of GM corn. So dig a little deeper and buy grass or alfalfa fed or free range livestock meats only. Sugar beets are added to the big four to make it five. Now more and more sugar beets are GMO. you might want to reconsider now. A handy guide for consumers arePLU codesthat are labeled or stamped onto fruits and vegetables. 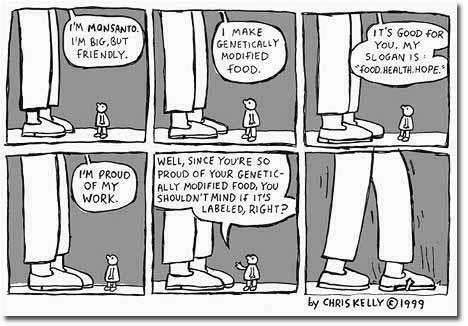 while giving the consumer a handy tag for identifying GMO produce. Each PLU code has five digits. If the first digit is a 9, the item is organic. 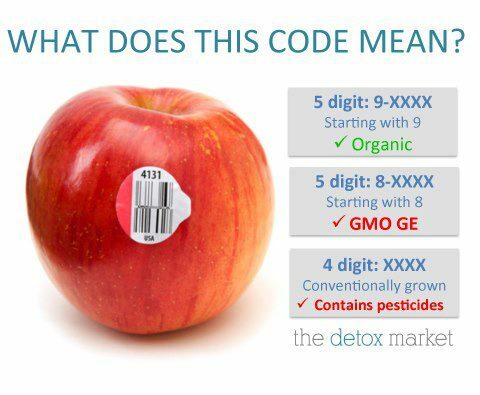 If it is an 8, it is GMO! Conventionally grown produce has a 0 for the first digit, but usually the 0 is dropped. So most conventionally grown produce will actually have only 4 digits on the PLU tag if you don't see a 0 at the beginning. The 8 gives you the worst of two worlds, GMO and heavy chemical spraying! such as string beans that are too small to label or stamp. Obviously, buying organic and from local farmers is ideal. Forget convenience. Buy bulk and eschew packaged foods. So what if you have to soak legumes the night before cooking them. If you buy locally, through a local health food store or at a farmers' market, you can determine by direct communication how the crops were raised. Stonyfield’s Gary Hirshberg has a new mission: Get the government to label genetically modified foods. Peru has banned GMOs for 10 years. Could this happen in the U.S.? Where can I get raw milk? What is the best cod liver oil? These are the kinds of questions we Real Food Media bloggers get every day. feeling better about ourselves, eating organic foods.